2. “Holey Paloma” made using reclaimed timber and parts of discarded furniture. Measures 91cm x 46cm x 90cm high. Elegant and unique. £1275. 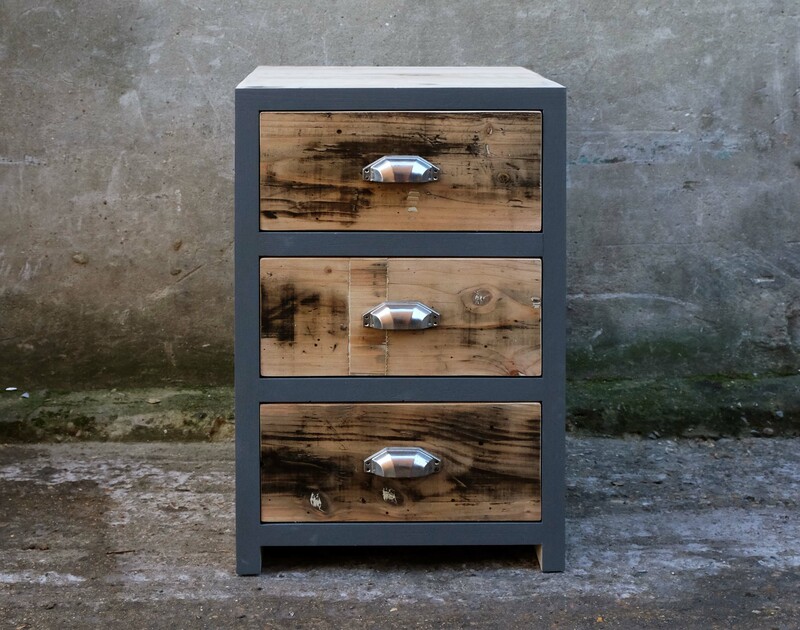 Whilst “Holey Paloma” is a one-off unique item we can build a similar style chest using upcycled vintage drawers in a reclaimed timber structure with coloured pigeon holes as shown. 3. 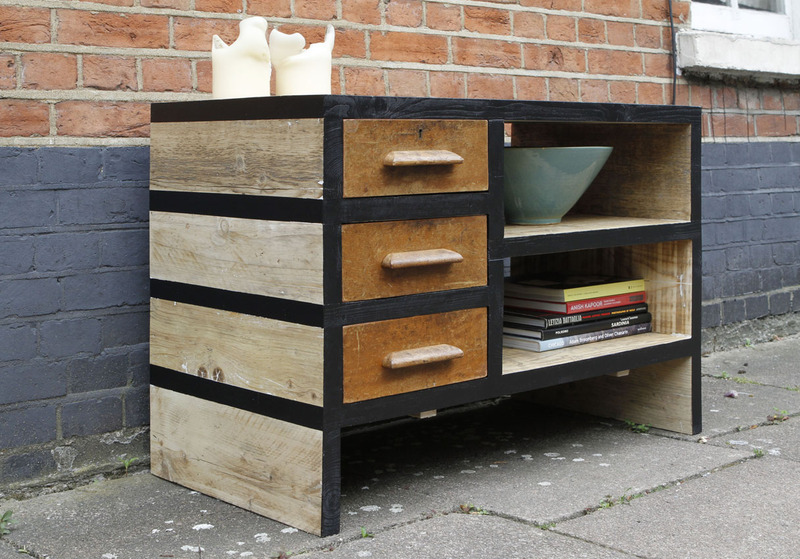 “Zia Paloma” made using reclaimed timber and discarded vintage drawers. Measures 74cm x 48cm x 65cm high. £640. 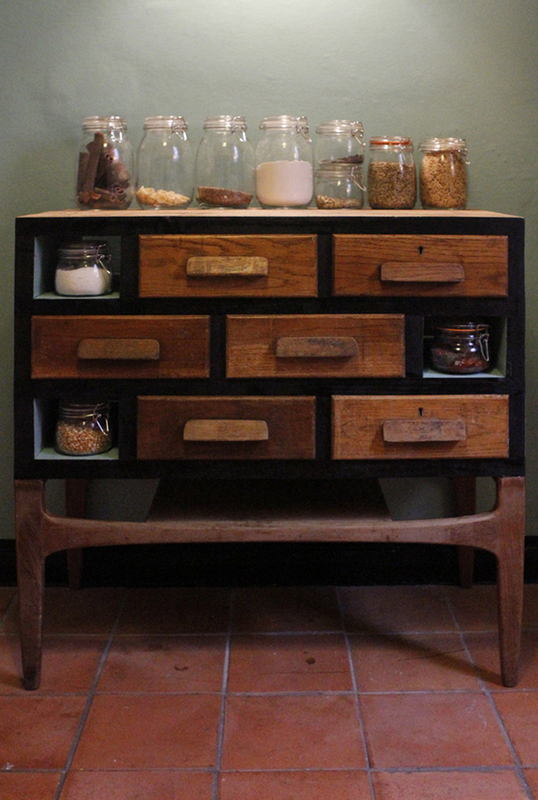 We can build any combination of drawers and shelves in the style of “Zia Paloma”. She makes a great TV/AV unit or sideboard.